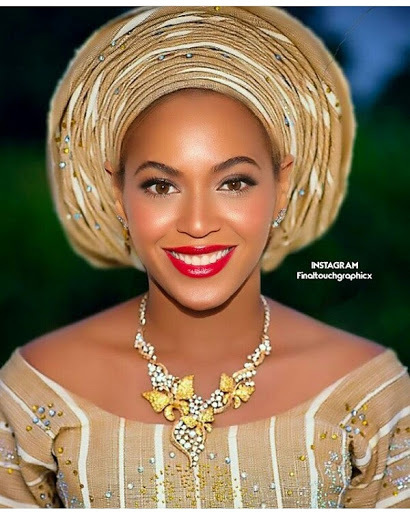 Guys, let me officially introduce you to Alhaja Beyonce Sikirat One of Ibadan. Iya Blue Ivy ati Iya Ibeji. Lol! Hope this makes your week. Final touch graphicx, nice one.